Good morning - does anyone here have experience with malabsorption (lack of intrinsic factor) and supplementation of vitamin B12? How much to take - how often - which type? Thanks! In my experience B vitamins are not absorbed well thru the GI - tummy. You need to take a liquid B complex that you hold under your tongue or a Sublingual B12 that you let resolve under your tongue. I can drop some link examples of products if you would like. There is nothing wrong with all the other B vitamins, it's just B12 that is problematic. Yes please, I'd like to see the sublingual B12 link. Thank you. 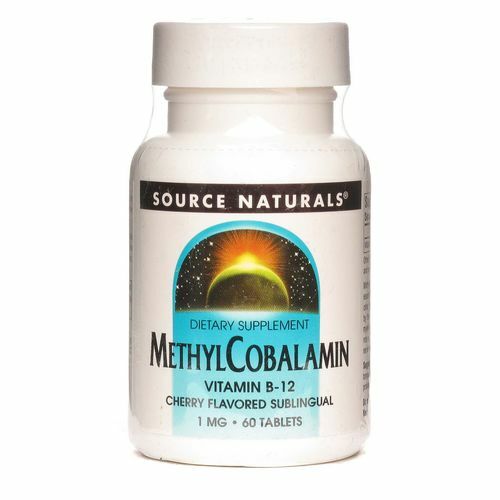 This is the B12 supplement I use, generally along with a B-50 complex. Thanks - yes, methylcobalamin seems to be the right kind. That's what I had before: the one I have had lately doesn't say what type it is and I suspect it's cyanocobalamin but I'll ring them up tomorrow. xA. This is a good quality, practitioner grade product. You place it under your tongue. But why did you need it and what were the symptoms? Or is it given more routinely in the US? Note that the instructions say it is to be chewed and dissolved "in the mouth" rather than just dissolved slowly under the tongue; however, I let it dissolve under the tongue as I am in no big rush and I enjoy the taste of the product, and as I continue to enjoy excellent results with noticeably increased energy levels. Read some of the 159 reviews to see why it's advertised as a "CUSTOMER FAVORITE" (in the purple notation bar under the picture of the bottle). I've got some new Lamberts' just now, taking them daily, and I hope they will do the trick. Unfortunately, a B12 deficit does not right itself easily, if at all.